He excelled in Real Estate Industry & Banking Sector for almost 20 years by providing end-to-end solutions across the geographical area. The rich experience he has, is been acquired over a period of time in deeply analysing market risk, property evaluation, resolving encroachment issues, fencing up properties & its maintenance, sourcing land & buildings, assisting in obtaining revenue records etc. for corporate clients, guiding in development of infrastructures for start-ups, NRIs, and other Big Corporate companies. 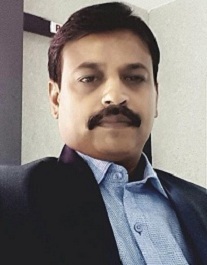 Mr.Sanjay's philosophy of placing the client's interests first and focusing on unmatched quality service to Clients with a difference have driven him to excel in his field as a senior advisor. He comes from a Commerce academic background and worked with various high stake projects and business organisation. With the said subject experience, he currently collaborates with Guru Brahma Law Associates to assist in firm's significant growth.